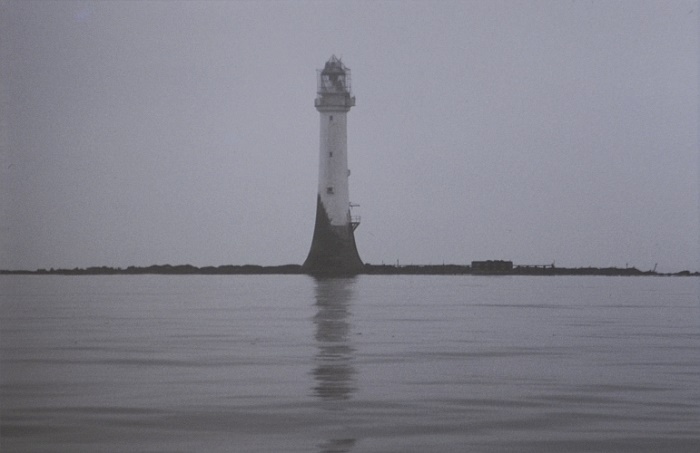 The Bell Rock Lighthouse is the oldest sea-washed lighthouse that still survives until today, located off the coast of Angus, in Scotland, within the United Kingdom of Great Britain and Northern Ireland. 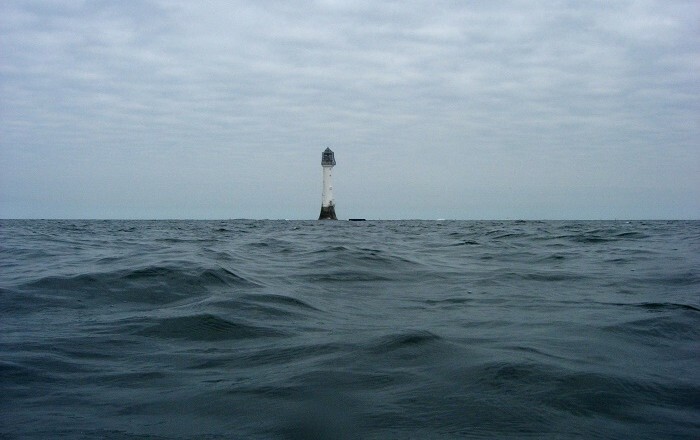 As it is the oldest existing rock lighthouse, it is built on the Bell Rock, sometimes called as Inchcape Island, and it is on one of the long and very treacherous reef lying in the North Sea. Built between 1807 and 1810 by Robert Stevenson, it is 35 meters high (115 feet), where its light can be visible from 56 km (35 statute miles) inland. 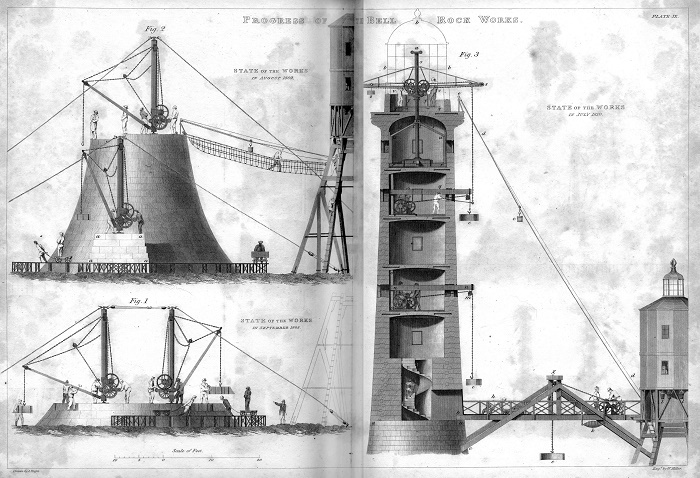 The construction of the tower is exceptionally perfect, and with the high standard of the masonry, the Bell Rock Lighthouse has not been replaced nor adapted in more than 200 years. 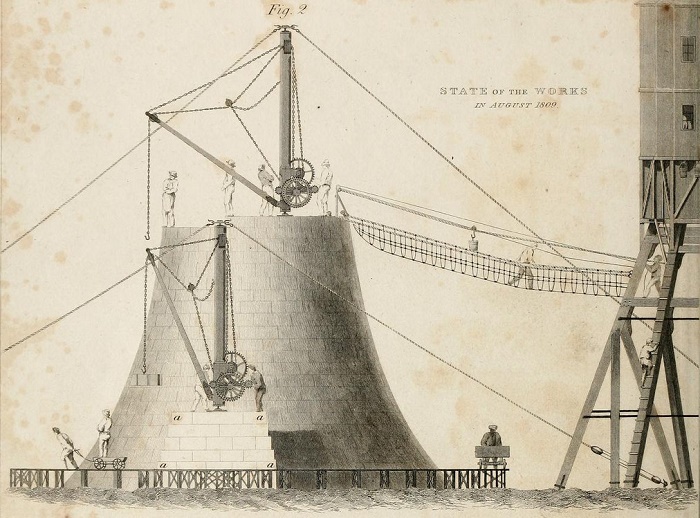 During the construction, Stevenson had some problems, like the Bell Rock is uncovered only at low water while at high water it is submerged to a depth of some 5 meters (16 feet). 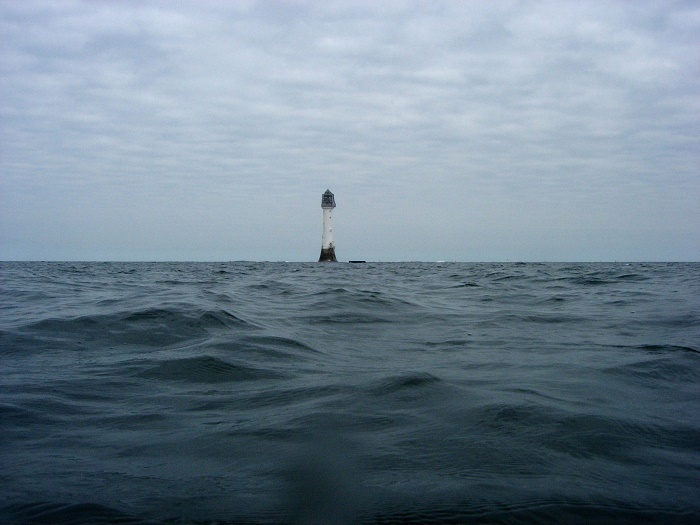 Built entirely from stone quarried from Mylnfield, near Dundee, the base of the lighthouse is some 13 meters (42 feet) in diameter, with some 5 meters (15 feet) in diameter at the top. The first part of the tower, some 9 meters (30 feet), is built of solid dovetailed masonry, where half of it is below high water and above that are 5 chambers, together with the lightroom. 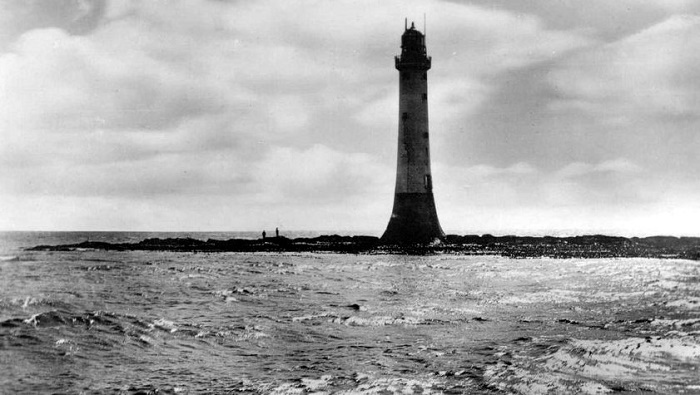 The Bell Rock Lighthouse proved to be very effective during the First and Second World War, when the light was turned off all the time, and with special permission turned on for the ships that needed to find their way around the reef and to the British Isles. 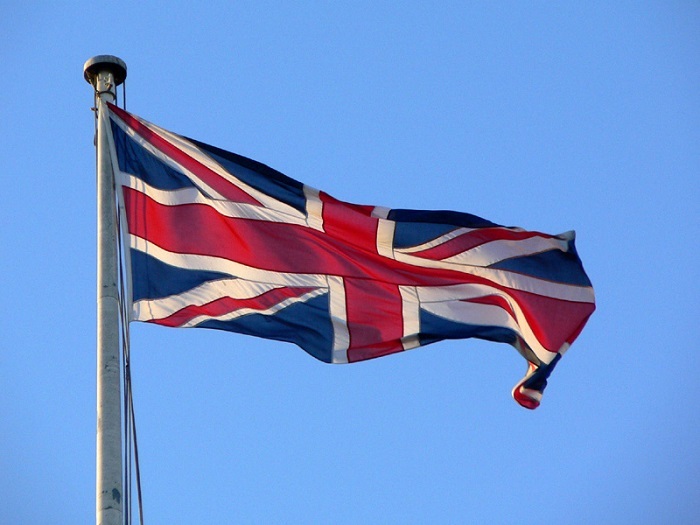 Unfortunately, there has been one marine accident with the HMS Argyll armored cruiser, that occurred on 28 October 1915, during the First World War, and another aviation accident that included a RAF Bristol Sycamore helicopter XG501, which struck the anemometer atop of the lighthouse. 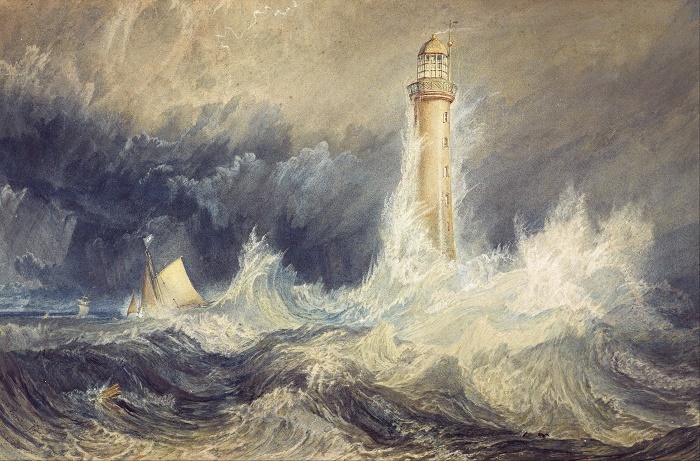 Since then there were no other recorded accidents, and there were supposed to be some changes made to the lighthouse. As a matter in fact, the parabolic reflectors the lighthouse had were replaced by a 1st Order Fresnel lens in which a paraffin vapor burner provided the illuminant, however, later in the mid 1960s, the paraffin vapor burner was replaced by an electric lamp. Today, serving as a great example of the masonry done during the industrial revolution, sometimes it is also referred to as one of the Seven Wonders of the Industrial World.